The Cylons had a plan. So does Glenn Beck, which he promises to reveal here. We have to wait until August 28, 2010 for the full plan to be revealed. We have been warned. 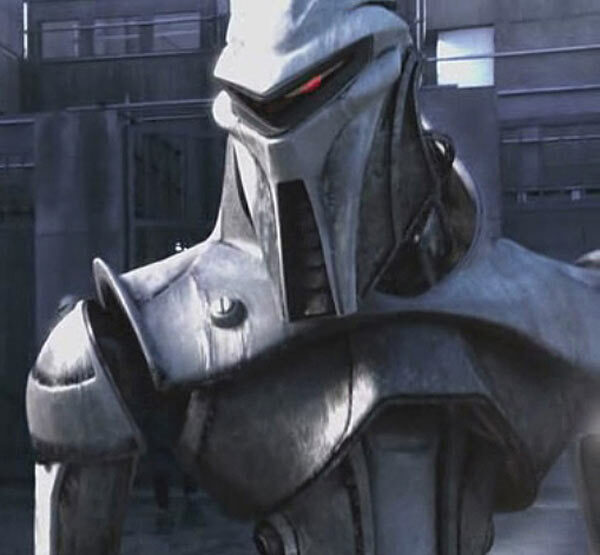 I expect to see two similarities between The Plan of the Cylons, and the plan from Glenn Beck: It will often fail to work as devised, and when it does work it will be very bad for humanity. It looks to me that primarily The Plan is to continue to try to sell books and gain viewers from his television shows by making off the wall statements which appeal to a lunatic fringe. He has spoken about getting involved in politics, possibly destroying a major political party. Maybe he will even manage to replace the Republican Party with his brand of lunacy, but at this point we’d hardly notice any difference. One of the most heavily visited old posts on the blog is about the possibility of Amy Sherman-Palladino returning to do a movie of The Gilmore Girls and possibly reveal the four final words she intended for the series. Sherman-Palladino had stated long before the end of the show that she already had the final four words in mind but wound up leaving for the final season, leaving the show to go a different route. My ongoing mission to get Amy Sherman-Palladino to cough up those elusive final four Gilmore Girl words is finally starting to bear some juicy fruit. Not that particular plum, no, but at least for the first time, she’s revealing details about what the series finale would’ve involved, had she stuck with the show. Hey, it’s a freaking start. Yep, you read that correctly. AS-P, who’s currently hard at work on a new dramedy for HBO, is not giving up on the possibility of a Gilmore movie. “Anything can happen,” she insists. “I’m in touch with [Lauren Graham and Alexis Bledel]. If there’s a story to tell, then absolutely I think we’re all going to want to tell it. That’s the bottom line. Unfortunately there is not much real news here. All he reveals is that Amy Sherman-Palladino had plans for Rory which, not unexpectedly, were different form what was aired by a different writer. The possibility of a movie remains open but this is hardly an announcement. At least they are not closing the door on this and perhaps it is encouraging that Amy S-P does not want to ruin the chances of a movie delving back to where she left off. 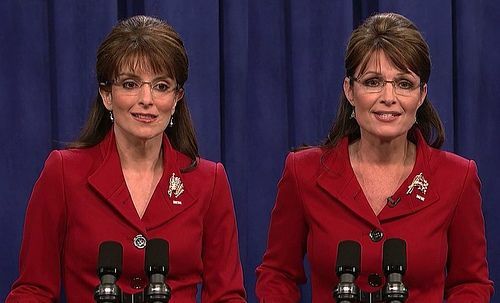 I sure hope that Tina Fey plays Sarah Palin on a book tour tonight on Saturday Night Live. Blog traffic has really shifted in ways I can’t explain recently. Starting in late September there was an abrupt decline in traffic which persisted for over a month, and then suddenly things appear to be returning to normal. The above shows the upward trend for blog traffic despite the blog being down much of yesterday. I expect things to level out and probably decline around the holidays. I’m wondering if this is unique here or if other bloggers experienced such a shift. Did people reduce surfing the web when the television season started and now start returning to the blogosphere? Senator Carl Levin of Michigan has suggested a tax on upper-income earners to pay for more troops for the war in Afghanistan. I suspect he did not note how the Democrats lost many independent voters in this year’s elections. Certainly there are many reasons why the elections are not predictive of future results, but taking a stereotypical Democratic stand of soaking the rich for everything will not help matters. There’s no doubt that under Bush the rich were given especially favorable treatment which should be corrected. That does not mean that taxing the rich should be the answer for everything. If the government should be doing something, the cost should be spread out among all the citizens (obviously with continuation of limitations on taxes for the poor who cannot afford them). Whether we should remain in Afghanistan is certainly debatable. If we stay, the cost should be spread among everyone. Similarly I’ve argued that health care reform is something which is beneficial for the entire country and should also be financed with a broad-based tax. Sooner or later Americans must consider government spending like adults and consider whether a program is worth spending money on. The knee-jerk opposition to any government spending by conservatives (unless it involves invading another country or torture) is a nonsensical viewpoint which Democrats should not continue to reinforce. There would be some satisfaction if, as Ron Beasley suggests, the cost for such wars could be shifted to their rich neoconservative supporters like Bill Kristol and Fred Barnes. On the other hand increased taxes on those making $200,000 a year as Levin suggests will also affect many people who have recently begun voting Democratic. It appears that the Democrats now have the sixty votes necessary to keep consideration of the health care reform bill alive. Blanche Lincoln of Arkansas is the 60th Senator to agree to at least keep the bill alive to debate it even though she says she doesn’t agree with everything in the bill and might not vote for the final bill. The bill is far from perfect and hopefully there will be some changes made as the Senate debates the bill, followed by reconciliation with the House bill if the Senate bill does pass. My fear is that, to appease the conservatives, more of the benefits will be reduced while many of the negative aspects might remain. I fear this might provide too much power to an unelected group. It is one thing to give Congress an outright up or down vote. Putting restrictions on the ability of Congress to reject their recommendations might leave the Medicare Advisory Board in the position of too easily making decisions without meaningful Congressional oversight. It will be interesting to see the reaction to this from both the right and the left. This might be a proposal which conservatives who talk about cutting costs might support, but supporting it would contradict their earlier rhetoric on the subject. The stereotypical “big government” liberals might see increased bureaucratic control of Medicare as a good thing, or some might question if this might lead to inadequate spending on the elderly. Sarah Palin might even argue that we are at risk of the Medicare Advisory Board setting up death panels to cut costs with Congress would not be able to stop.